Quarter DOCKLANDS in loft style consists of 4 buildings. One of the buildings - the apart-hotel DOCKLANDS.SmArt - should become a place for young, active guests, a space for the synthesis of new technologies of life management and contemporary art. 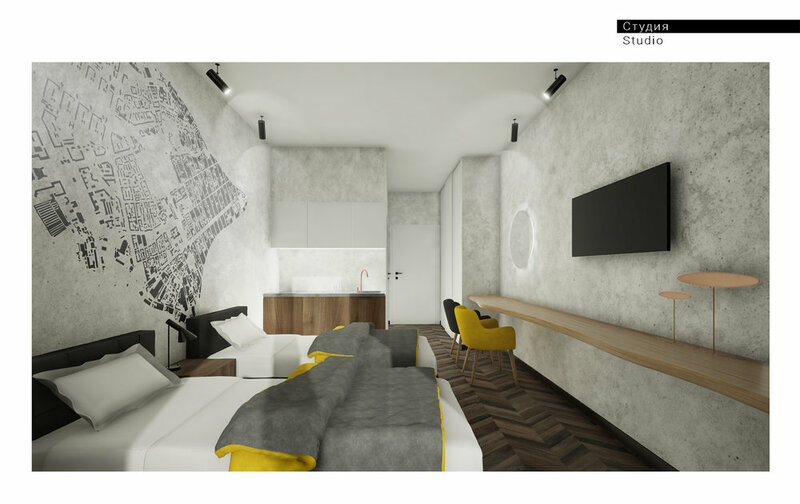 The task was to develop an interior design concept of the apart-hotel. 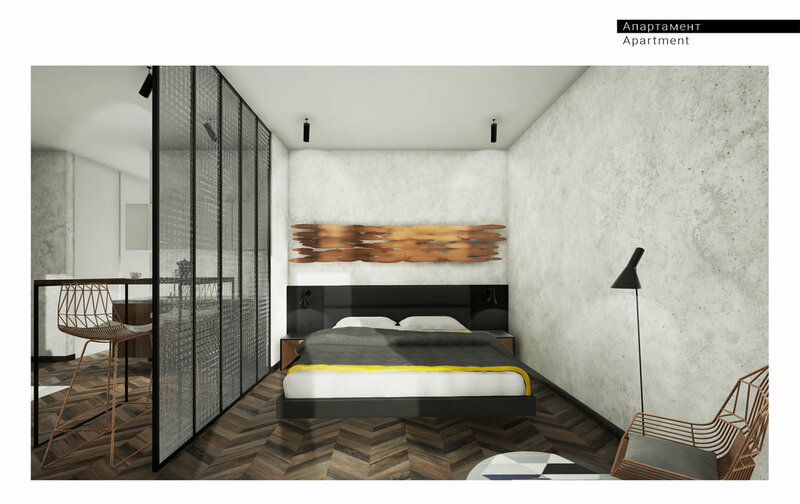 During all the features, we decided to turn the hotel into a large art-area, where the elements of contemporary art become the main connecting idea of he interior. Art enters the interior in various ways: from an abstract sculptural composition to a virtual exposition accessible with the help of a special app and technology of AR. 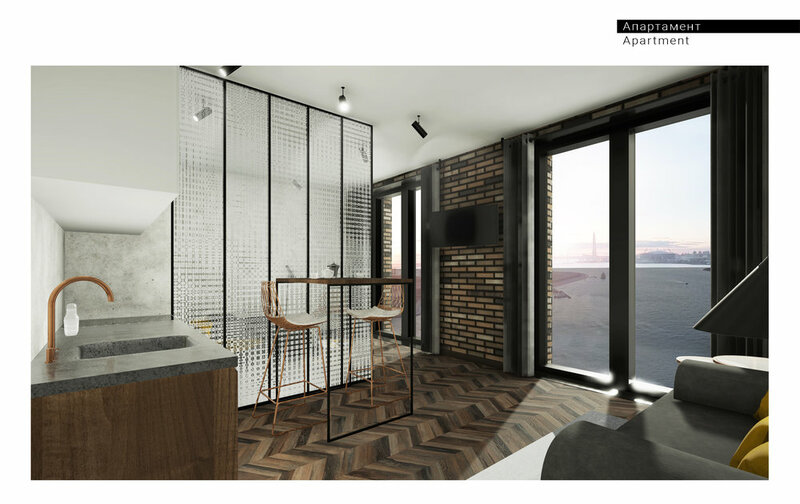 The concept of the interior assumes a free interpretation of the loft concept, the emphasis is on the use of modern technologies and the connection of space and people through art. The subject of the loft is maintained in traditional materials for the style and their gradation, depending on the purpose of the room. 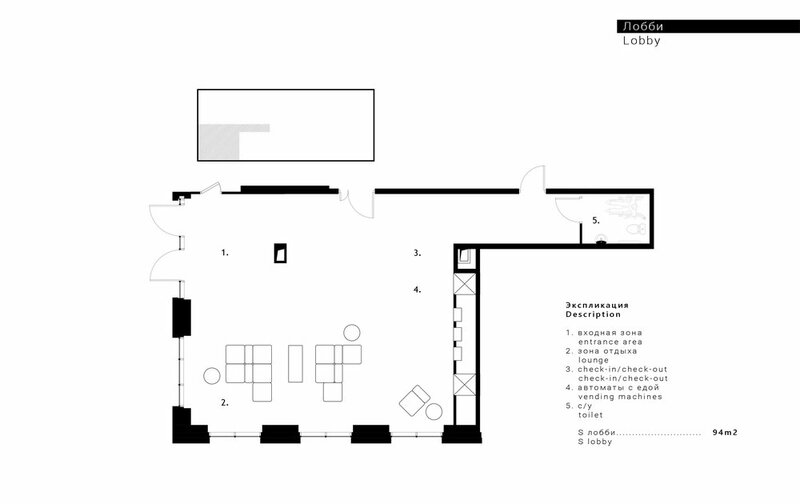 Conditionally the interior of the lobby is divided into 3 zones: lounge, mini-café area and check-in, art zone. The mini-cafe area and self check-in/check-out are grouped. Monitors with touch screen technology and vending machines with food and drinks are built into the partition between the hotel lobby and the rental space. Lounge is a place of rest with sofas and small tables. The interior of the hall is a buffer zone between the lobby and living rooms. Numbering is done on the doors. Basic materials: metal and concrete. The interior is dominated by warm textures, colors and materials. The accents are shifted in favor of wood and textiles. Above the bed and on the console in the studio, the interior element echoes with the complex ceiling of the lobby. The map of Vasilievsky Island on the wall plays not only the role of piece of art, but also an interactive information panel. With the help of a special app and AR, visitors can receive information about routes, galleries, museums, etc. 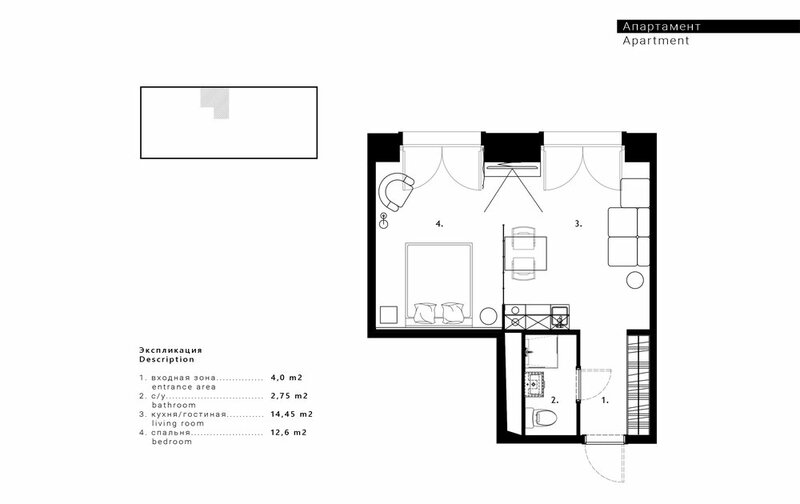 For optimal use, the layout of the apartments has been changed. The partition between the bedroom and the kitchen is light and translucent, the door is moved closer to the outer wall. This allowed to visually expand the space and get additional space for the dining area. 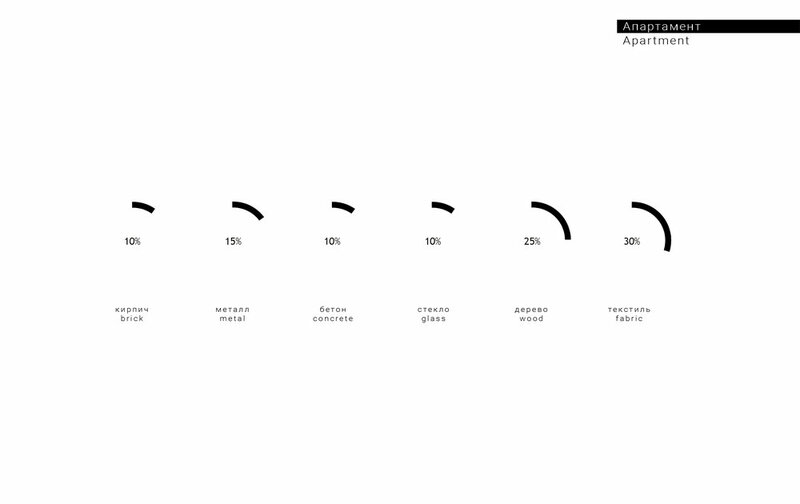 The interior concept takes into account the location of the apart-hotel, the marketing strategy and the chosen style. It is not just a beautiful interior, but a unique technological space for a comfortable stay of guests.